I’ve just submitted an article to Tico Times about the time we are in right now that is favorable for spec home building. Now let’s add to this another factor that is not as obvious. Well… it is actually every bit as obvious. It’s just that it is hidden, which is a gracious way of saying: neglected. And by virtue of it being neglected, it is a bit unknown. The Zone is in an expansion period. There is a strong market here for existing houses. Many of these homes are in the $400,000 – $1,000,000 market and beyond. The realtors here are doing well selling these properties. When I get an ocean view house listing in the $350,000 range, I view it as solid gold, because this price point is in high demand, and relative to our market here, is in the low side of the range. It will likely sell quickly. 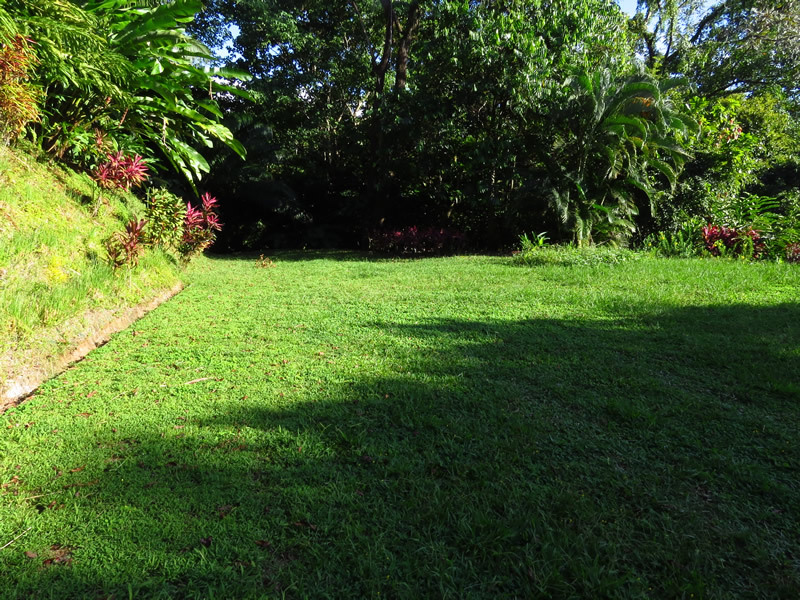 There is little to no financing on the purchase of a house in Costa Rica. This means that the buyer of a house needs to be liquid starting at right around $350,000. What about those that aren’t packing this amount of ready cash? One of my sellers of a $60,000 property has consulted with me about how he can sell his property. This man knows his way around The Zone’s real estate market. He has been involved in millions of dollars worth of property business during his time here. Why did he feel the need to consult with me? Answer: Because I took his listing. He can’t get any of the local real estate guys out to his property to take the listing. They are not interested. Despite being low priced, his property represents a considerable amount of listing work. The real estate guy’s perspective is that he can spend his time taking a listing for, say, a $750,000 house, or for this man’s property that pays less than a tenth of the house. Duh! 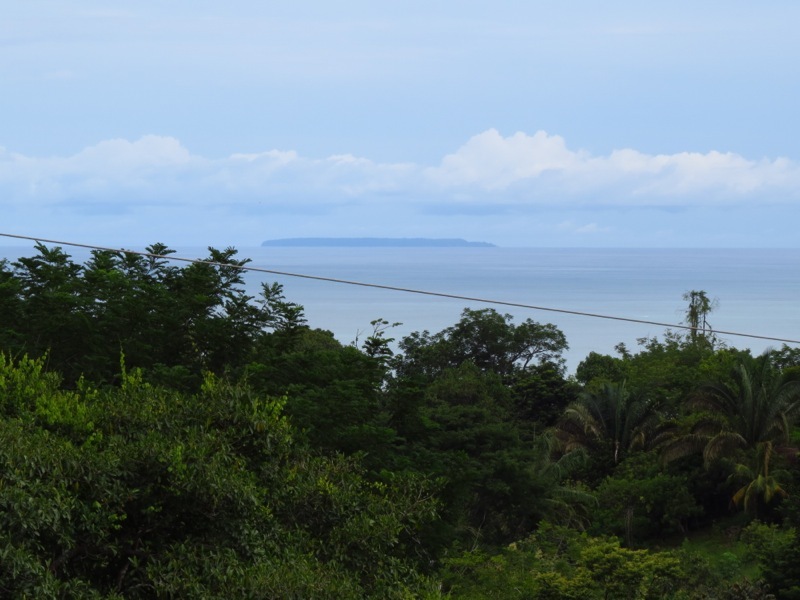 I recently took a listing on a small, 1 bedroom, 1 bath house nearby to where I live in Playa Hermosa, which is a small Tico (Costa Rican) pueblo just north of Uvita. It had been refurbished by an investor. He had found an older Tico house that he fortified, re-tiled throughout, put in a small pool and generally fixed it up. The resulting house offered what many are looking for but are having a very difficult time finding: “Ocean view home, with pool for $129,000, 7 minutes from the grocery store”. Yowza! 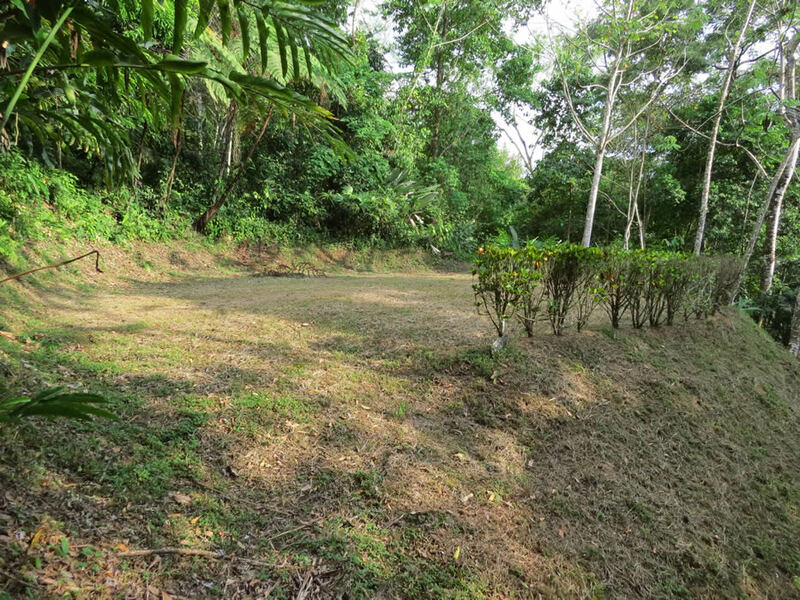 This took me less than 3 months to sell (quick by Costa Rica standards), and I continue to receive inquiries on the property. I wish that I had another dozen of these. Alas, I don’t. But, the same (or similar) effect of this property can be achieved in other ways. Cracking the Hidden Market Nut: Buy one of the available lots on the market, build a modest but nice home on it, and you are in it for less than $300,000. You can then live in this house, or you can put it on the market in the under $300,000 range. In my Tico Times article, I spell out a scenario where the house is priced at $429,000. Getting a house on the market for under $300k and that is well designed and well built, will result in a line at the door. Properties similar to the Little House I had at $129k are nearly non-existent. These are so extremely rare that, even with the buy-and-build approach, are difficult to duplicate – difficult but not impossible. And this is the Hidden Market here. If you’re reading this and wondering how you can bring a limited budget to the table and still own a home here in The Zone, you are looking into the Hidden Market. It may be that you’ve done some searching, and perhaps you’ve even found some properties that look like they’ll work for your budget. But then when you inquire, or look a little deeper into it, you find out why the property is priced as it is. It may be way out in the sticks, or the property itself may have some problems that explain why it is priced so low. The caveat to solving the Hidden Market problem is that currently, all of the solutions I know of require buying raw land and then building. This is beyond what many are looking for or are willing to do. However, if you’ve got a limited budget, and you really want to own a home here in The Zone, consider buying and building. Your possibilities are: 1) wait for another Little House option to come on the market, or 2) buy one of the low priced, but good, raw land options and then build on it. If you are one of those that say “I can’t build in a foreign land”, then you are going to need to go with option #1. It may be a long wait. The purpose of this article is not to go into the ins and outs of building here. That is for another article (or post your question below). Suffice it to say that there are some good options for doing so, and that some have even had good experiences building in absentia. I’m hoping that this information will help what I feel to be a rather large segment of the buying population who are frustrated by their inability to find a property in their budget. Ready to build, all services in, about 5 minutes to the grocery store and 10 to the beach. Ocean view, but in a very nice area. Town Uvita One half acre of nearly all usable land. Located about 4 minutes to the grocery store. Beautiful location. The services are in. 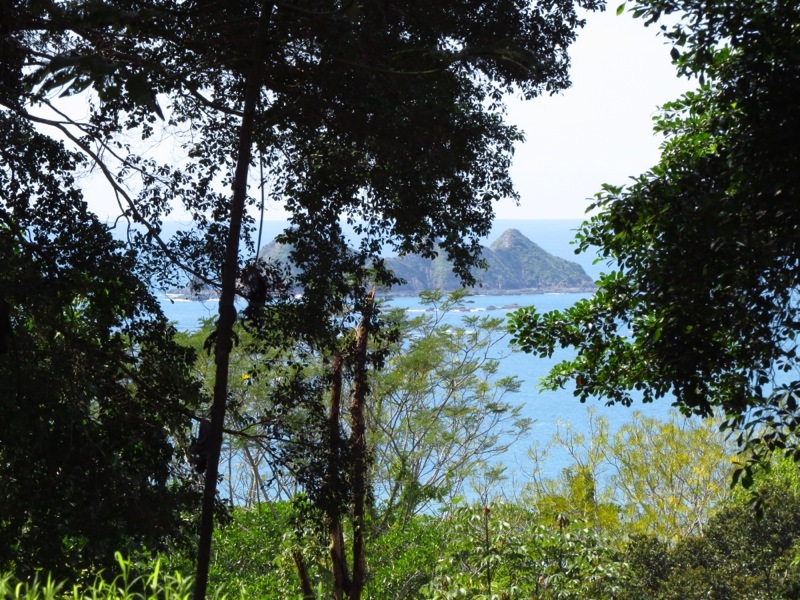 View of Roca Ballena from the $83,000 spec home lot. Centrally located between Uvita & Ojochal. Looking straight out to the Roca Ballena configuration. This lot is ready to build. The water will need to be run from a neighbor’s well system. The electric is at the road the runs by the property. Ocean view including the Roca Ballena formation. Let’s find you a builder who can build your house for $85.00 per foot. Let’s say that you want to build a 1,200 sq. ft. home. Your building costs will be $102,000. If you want a pool, add $15,000. And then let’s add another $10,000 for permits, landscaping and incidentals. So your costs are right around $130,000. Add the price of your property and you’ve got your Hidden Market home. Fiddle with these numbers. Keep in mind that we are in Costa Rica for a reason. And this reason isn’t to be sitting inside watching the tele. Build your house cheap. This isn’t to say “low quality”. Just enclose & secure the bedrooms, bathrooms and (if you like) a media room. Go ahead and have plenty of areas under roof, but who needs walls? Your kitchen can even be open-air here. What we need is a place to sit, do yoga, talk with friends etc… that is protected from the sun and the rain. That $85.00 per foot figure can be pushed down. Or try this: buy that $60,000 property, build a decent abode on it for $70,000, and you’ve duplicated the Little House scenario, just without the ocean view.